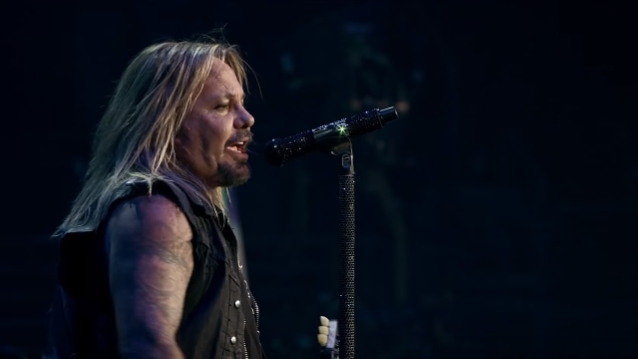 According to The Blast, Howard & Howard Attorneys, PLLC, the lawyers representing Vince Neil (Mötley Crüe) in his assault lawsuit, have filed court documents claiming the frontman has refused to pay them $187,364.01. The attorneys are still working on the case for now, but they did ask the judge to hit Neil with a lien. For those unaware, the case involves a 2016 lawsuit that was filed by Kelly Guerrero, who said Neil attacked her while outside the Aria hotel in Las Vegas, NV. The woman claims she was asking the singer for an autograph when he decided to grab her by the hair and drag her down. Actor Nicolas Cage was present at the time and tried to calm Neil down. The suit says the assault resulted in “substantial medical expenses, lost wages, pain and suffering, and emotional distress.” Guerrero was seeking $75,000 in compensatory damages and $75,000 in punitive damages and legal fees. Neil denies the allegations and is trying to get the case thrown out. This entry was posted in MÖTLEY CRÜE, News and tagged lawsuit, MÖTLEY CRÜE, Rock, Vince Neil. Bookmark the permalink.